Relatively expensive for the amount of light you get out. USB charging clip is attached to the light, making it hard to plug in to some USB ports. On one hand, having the USB plug built in is convenient because you never have to worry about having the right cable, but it’s no use having the plug if you can’t fit the light into an outlet. 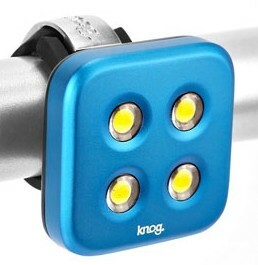 Some Knog lights come with a USB extension cable to alleviate this problem, but the Blinder 4 does not.